If you were to do a quick Google Search for “Sugar Fat Loss” (or even; “sugar and fat loss”), you’d see at least 194 million results! Over the past decade, sugar has risen to the position of “top dawg” when it comes to people explaining why you’re gaining weight. 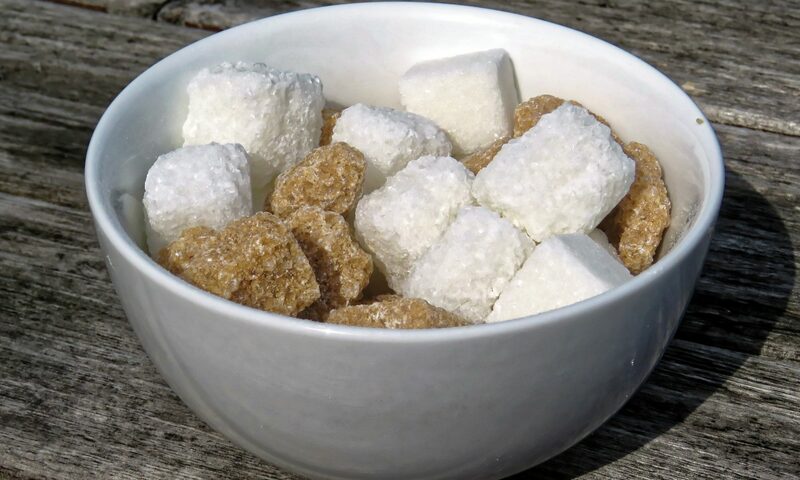 In fitness and health circles, it’s “an established fact” that sugar affects weight loss! Eliminating sugar for fat loss? Take the period from 1999 to 2013. In those 14 years, the obesity rate in America rose from 31% to 38%! However, if you were to claim that sugar clearly is the reason why people are gaining weight? During that same period of time, there was an 18-22% decline in the average daily intake of sugar. And yet, the obesity rate continued to climb! 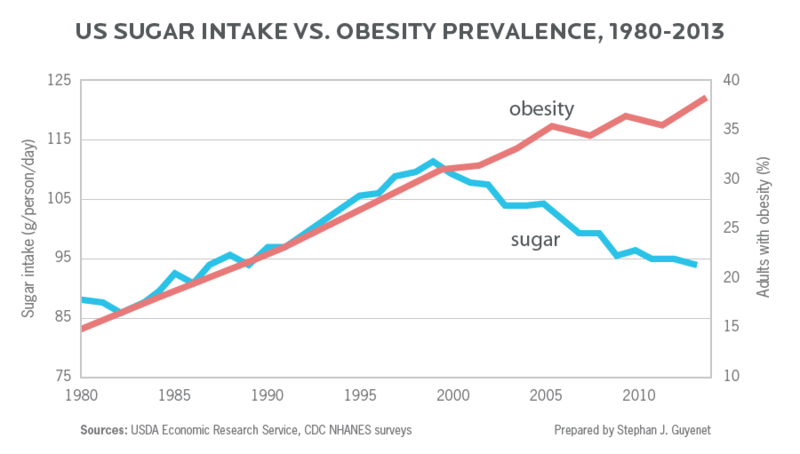 So, maybe sugar isn’t the obvious reason why America is gaining weight…? True, there may be correlation between sugar consumption and a lack of fat loss. But, the data clearly suggests that sugar can’t be the only reason why you’re gaining weight. No single thing causes obesity. Be it carbohydrates, fat or protein. Life just isn’t that simple! Unfortunately, our body isn’t an exception. Sure, there are genetic and environmental traits of yours to make you more or less sensitive to an ingredient, food type, or macro nutrient. The mix that will work is going to be specifically yours. What works well for me is unlikely to work as well for you. Sure, there are some general things we both can do to help us lose weight (if that’s our goal). We’ve written about some of those before. Sugar and fat loss are mutually exclusive? As a matter of fact, in 2015 Dr. Kevin Hall led a small pilot study to investigate the relationships between carbs/sugar and insulin when it comes to obesity. There were a lot of rules for the participants to adhere to. The rules included having to live in a metabolic ward for the duration (all 6-8 weeks of it). This was to let the researchers control everything about how they lived, what they ate, their level of activity, etc. The only things modified between the two diets – “low carbohydrate diet” and “low fat diet” – was the amounts of carbohydrates/sugar and fat levels. The people on the “low carbohydrate diet”, where sugars represented 8% of all daily calories (sugar = 37g/day), lost 4 lbs of body weight during the 2 week period. The people on the “low fat diet”, where carbohydrates represented 35% of their daily calorie intake (sugar = 170g/day) lost 3 lbs of body weight during the 2 week period. While consuming almost 2x the amount of sugar per day that the typical American diet includes, the subjects lost 33% more body weight! How much body fat did they loose while on the “low carbohydrate diet”? They lost an average of 1.16lbs of body fat. And the fat loss achieved while on the “low fat diet”? They lost an average of 1.29lbs of body fat. That’s an approximate 11% difference in favor of the “low fat diet”. If you’re interested in more details about sugar and fat loss, I highly recommend reading “The surprising truth about sugar” from Precision Nutrition. May be something to ponder as you train today..? Cheers!